Have you ever used a mobile app to place a call or text message rather than using your service providers traditional texting and calling plans? Have you ever watched a TV show on YouTube or Hulu rather than on cable? If you've answered yes, then you've used an OTT app, maybe without even knowing it! Being OTT is all the rage these days -- consumers love it; more and more businesses are building these apps for their customers. But there's a bit of controversy when it comes to how OTT apps impact operators. Read on to learn more about the world of OTT apps - market opportunity, benefits, challenges and just about everything else. OTT refers to "over-the-top" applications and services that are used over the internet or mobile data plan, rather than over the network of a service provider, in order to bypass traditional distribution and carrier fees. In everyday speak, OTT services are like using the back roads instead of the highway to avoid a toll. As OTT services are generally less expensive than traditional service provider communications, consumers are looking to them as a more economical communication and entertainment solution. While there are many OTT apps available on the market for everything from streaming video, to gaming, to mobile voice, VoIP, and video calling, were going to focus on one of the major players in OTT technology  mobile messaging. How Big is the OTT Messaging Market? With texting leading the way in todays communications, it should come as no surprise that the OTT messaging app marketing is booming. According to a report from Informa Telecoms & Media, in 2012 an average of 19.1 billion OTT messages were sent every day worldwide. That's just above the 17.6 billion daily text messages sent during the same period. In the same study, Informa also released predictive data that shows outbound OTT messages are to reach closer to 41 billion messages per day by the end of 2013  a volume twice that of SMS! To further put the OTT messaging market into perspective, mobile messaging company, Acision, released a report that reveals 79% of Smartphone users in the U.S. today are using multiple messaging services, including SMS, MMS and IM or OTT applications. This means that nearly 8 out of 10 smartphone users are not choosing one mode of messaging communication over another, but rather a combination of apps and services to fit their messaging needs. What's more, is that by the end of 2017, OTT messaging traffic is expected to surpass 32 trillion messages annually, while SMS will have slowed to 7.89 trillion. In our globally connected world, its easy to understand why consumers use OTT apps; they are convenient, have compelling features, and are generally more cost effective than traditional SMS services. OTT apps also typically offer worldwide services at prices that arent sustainable for service providers. 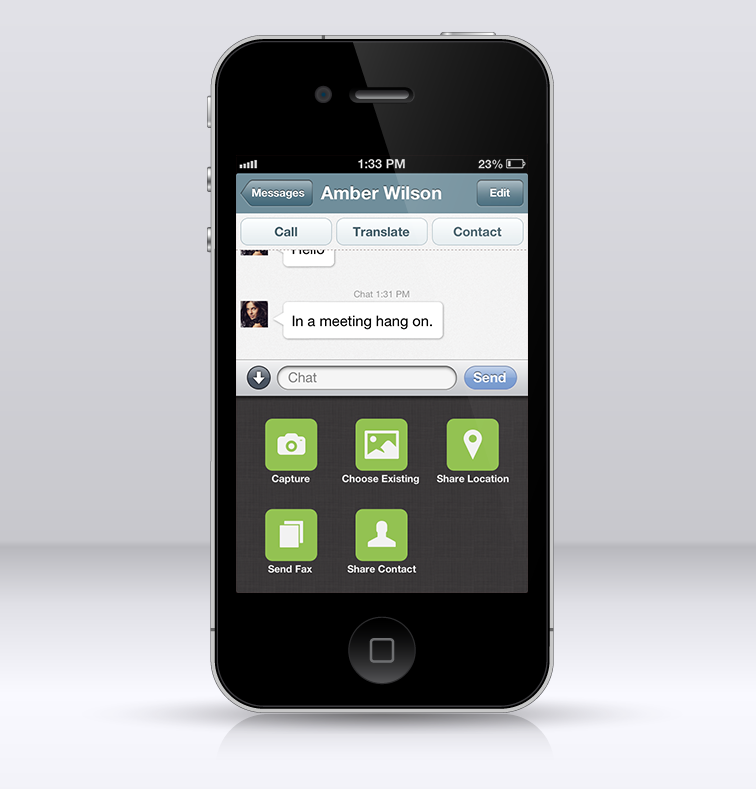 In fact, many, if not most, OTT messaging apps offer free in-network communications regardless of location. 68% of respondents want a messaging service with which they can reach everybody, regardless of the type of messaging app they are using. Similarly, 68% also desire a messaging service with which they can receive a message on any device: Smartphone, tablet or laptop/PC. 61% want an instant messaging service that records a single conversation history of all messages, regardless of the app or device used. More than half of all respondents (58%) claim a messaging service that sends all messages - without having to think which application to use - would be ideal. The message would automatically send and deliver to the recipients preferred messaging service. According to Acision's findings, users want a simple, ubiquitous experience within one application. Overcoming fragmentation issues will play a crucial role in the future success of OTT apps and universal messaging integration will certainly be on the list of must-have features for the next generation of messaging apps. When consumers use OTT services over their carrier's network, the carrier is left out of the equation and not collecting revenue for those calls and texts. This bypass of traditional delivery methods has led to a wide-ranging conflict between companies that offer similar or overlapping services. In fact, research firm Ovum forecasts that by 2016 service providers will have lost $54 billion in SMS revenues due to the increasing popularity of OTT messaging. Despite the challenges service providers have faced related to competition from OTT applications, it has not gone unnoticed that most OTT apps are being offered for free, making monetization difficult for OTT providers as well. With both OTT and SMS messaging facing complicated revenue streams, its nearly impossible to predict if current popular services will continue to thrive or be pushed aside for new technologies. Additionally, in spite of the numbers showing favor for OTT apps, there is still positive feedback and usage for SMS. Acision claims that in terms of popularity, not volume, SMS is still the dominant messaging platform. They report that 92% of users use SMS on a daily basis, of which 53% said they would be lost without it  a statistic that proves SMS is not a dying mode of communication. With consumers demanding new features including multi-media capabilities like photo-sharing, phone calls and video chat, while still expecting free or low cost services, it's difficult to say what the future holds for the OTT ecosystem. New technologies that address these points will inevitably become the most popular and may oust apps that offer minimal extras and only allow messaging within their user-base. In a market filled with so many different options, differentiation is the key to acquiring new users. A few dozen apps are all capable of sending messages within their own user-base, so apps that expand their offerings to include other utilities are more likely to stand out, states Sandhya Raman of Fierce Mobile Market. While mobile chat apps are becoming increasingly popular and offer alternative communication solutions to consumers, most of them presently cannot completely supersede traditional text messaging. Sending SMS may incur additional fees or rely on a network contract, but the key advantage is they are guaranteed to work with every mobile device over every possible carrier  unlike many OTT apps which are generally compartmentalized and are limited to messaging within their user-base. In the current market, it seems consumers are turning to mobile chat apps to supplement SMS rather than replace it completely. It's apparent that OTT and SMS messaging marketplace is ever-evolving and will continue to offer diverse options for chat-based communications. And, despite all the research available on this topic, many of us still have questions that have gone unanswered: Do OTT apps provide better options than native operator services? Which OTT apps will save me the most money? Which type of company do I trust more with my everyday communication? Can operator services win me over in the future? Please share your thoughts, comments and answers to these questions on the OTT messaging market in the comments below or connect with us via social media -- Facebook, Twitter.